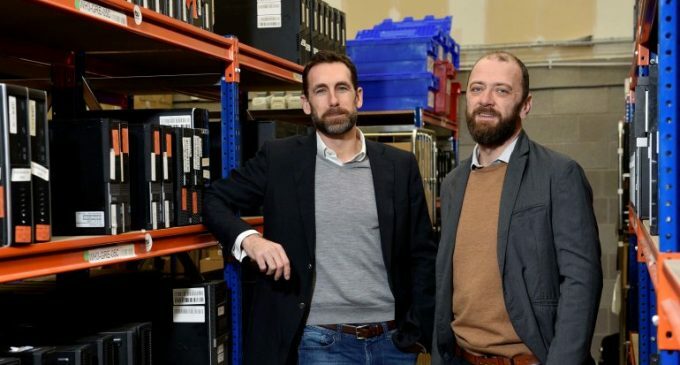 AMI, Ireland’s leading secure IT recycling company, plans to create 30 new jobs in the next two years, bringing its total workforce to 90 by 2021. The new roles will be shared across AMI’s Dublin and Belfast locations, whose premises will also be expanded, as part of a strategic €4 million investment. AMI will leverage the investment to grow through targeted acquisition in both the UK and Ireland, focusing on complementary businesses and IT installation companies. UK acquisitions and investments in AMI’s subsidiary, DiskShred, will allow the company to extend its service offering in international markets. DiskShred currently provides secure on-site hard drive and media shredding services to 13 countries throughout Europe. The investment will also facilitate the growth of AMI’s recently launched deployment and relocation service, which provides organisations with a secure way of managing IT refreshes and office moves. The service is forecasted to generate more than €1.15 million in revenue over the next 24 months. The funding behind the total €4 million investment derives from an external investment of €570,000 from investor Rob Clarke, retained shareholder earnings of €1.71 million and debt finance of €1.71 million. Rob Clarke will also be appointed to AMI’s board as chairman, providing guidance on the company’s growth journey and expansion plan. Philip McMichael, CEO of AMI, said: “AMI has had another stellar year in 2018 and we’re seeking to capitalise on our current growth with this strategic investment. The requirement of organisations to show compliance with GDPR legislation by securely disposing old IT equipment is fuelling demand for our services. The additional hires, expanded premises and the development of our technology and service capabilities will all support us in meeting this increasing demand. Pictured (L-R) are: Rob Clarke, Chairman of AMI, and Philip McMichael, CEO of AMI, announcing AMI’s €4 million investment and 30 new jobs.